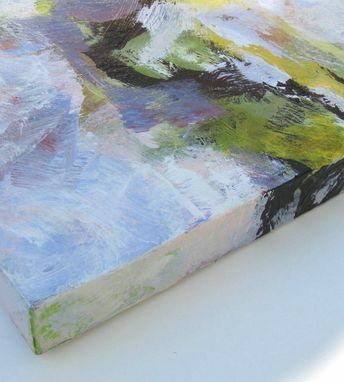 This elegant expressionist abstract is an original acrylic painting on canvas. 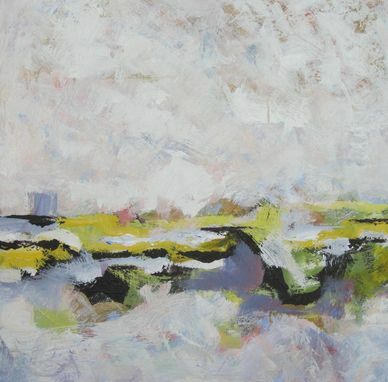 Pale hues of mustard, lime green, lavender and black combine to create and illusion of a horizon. 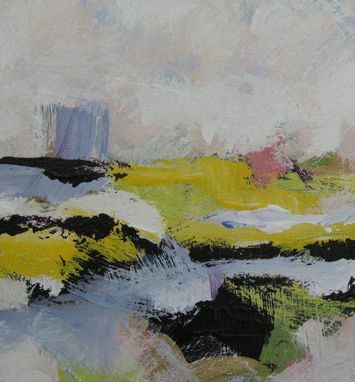 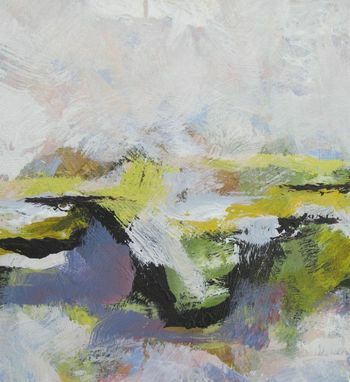 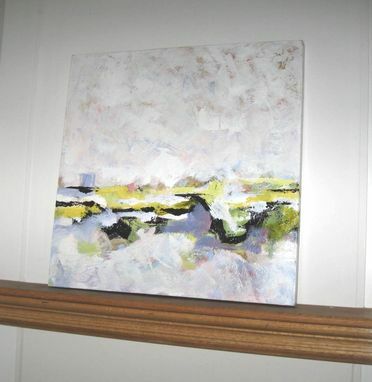 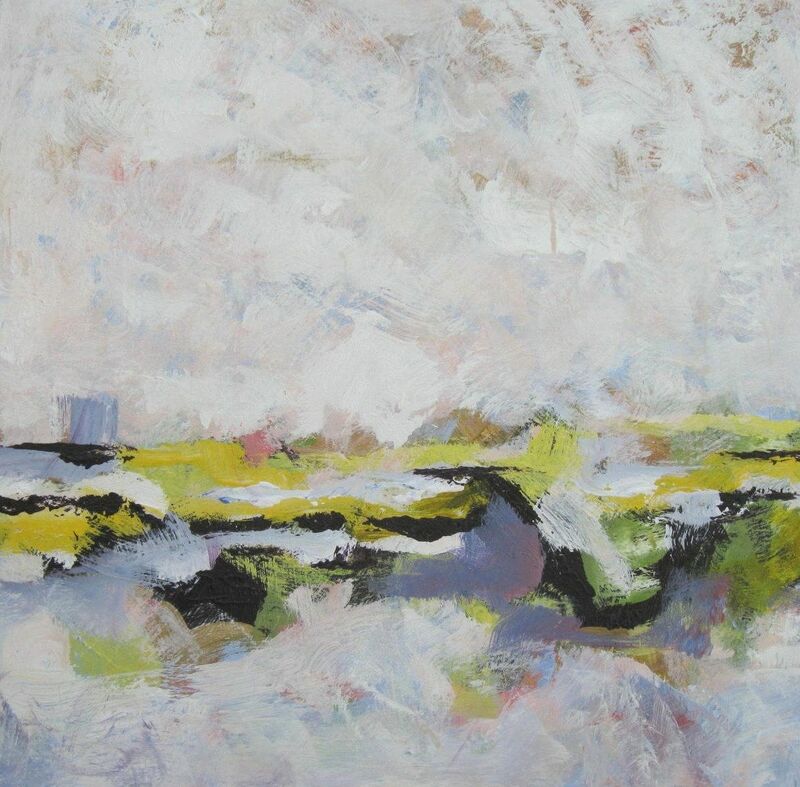 The muted off white background makes this relaxing painting perfect for any interior.